Every year there’s a record that seems to catch the moment, sum up the season, set the mood in motion. This year is no exception, whether you’ve been chilling to Grandaddy, getting down to The Dandy Warhols or slumbering in the wonder of Belle and Sebastian there is now a record that brings together all of these incredible artists for a good cause and a break from the usual Christmas albums that drive you nutty. 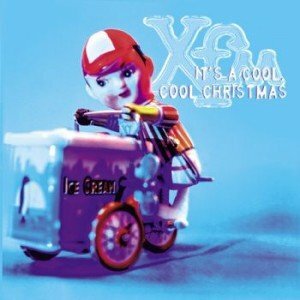 Thanks to the efforts of XFM and Jeepster Recordings Ltd, we are very proud to be bringing you “It’s A Cool Cool Christmas”, a charity album with a difference. Not here will you find Cliff Richards, Mariah Carey, Band Aid and the over played tunes of years ago, now there’s a Christmas album that bangs its drums to your beat. And to make it more worthwhile, EVERY PENNY IN PROFIT is being donated to The Big Issue Foundation. The bands have all donated the songs, and we, the record label, are donating all profits. XFM have been integral in bringing this all together and they are giving up time to promote it.